For Chicago Will It Be Berdardin Part Two? In recent months there has been a great deal of speculation regarding the successor to Cardinal Francis George in Chicago. As one of the largest and most influential centers of Catholicism in the United States, the archdiocese of Chicago is viewed by many as the first major opportunity Pope Francis will have to tangibly influence the Church in America since becoming pope. Now we come back to Chicago. Just who is Pope Francis looking to replace the aging and ailing Cardinal George with? The speculation has run the gamut from Archbishop Peter Sartain of Seattle and Bishop Robert Lynch of St. Petersburg both being mentioned in the same breath, to men such as Archbishop Wilton Gregory of Atlanta and Archbishop Gustavo Garcia-Siller of San Antonio. Enter Rocco Palmo of the long running blog Whispers in the Loggia. In nearly ten years of covering all things Catholic, Rocco’s blog has amassed over thirty two million views and the attention of many a prelate within the Church. His insiders access to information is undisputed. To my knowledge Rocco has not weighed in on this yet. At least not publicly. Here is the clip. Altogether the homily is simply odd in subject matter and mean-spirited in tone. The section I quote begins at the 3:09 mark. For the moment look past the cheap shot verbiage employed by Msgr. Kriegel. Look past his editorializing from the ambo. Even look past the orange chasuble (one hopes that’s due to poor video quality and not some new liturgical color introduced this season). What is important ultimately, is what was said in that homily. Either Rocco Palmo really does not know who the next archbishop of Chicago will be, in which case he lied at that dinner with the bishop, or Monsignor was dishonest in his homily by attributing to Palmo a statement which he never made. Or could it simply be that Palmo said it and Msgr. Kriegel repeated it. The appointment of the next archbishop of Chicago may indeed signal the beginning of a “new path” for the Church in the United States. Whether or not this path is an attempt to return to the Bernardin era of episcopal leadership, only time will tell. 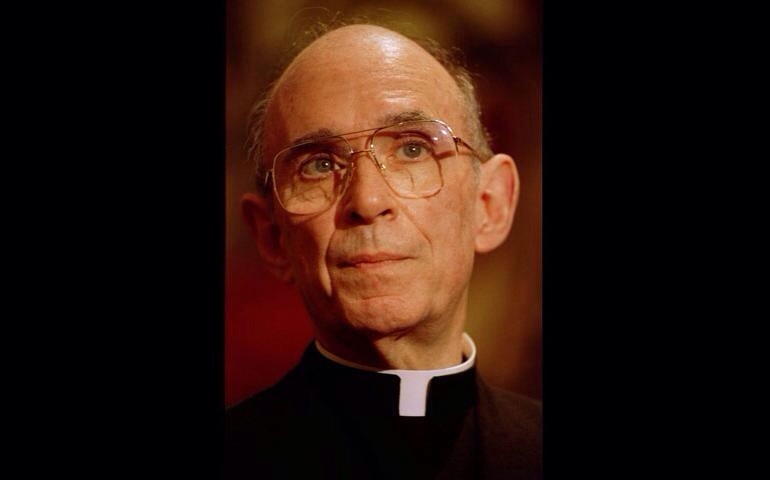 Posted on July 21, 2014, in life and tagged archdiocese of chicago, cardinal bernardin, cardinal francis george, monsignor henry kriegel, pope francis, rocco palmo. Bookmark the permalink. 3 Comments. Those poor people of Chicago.